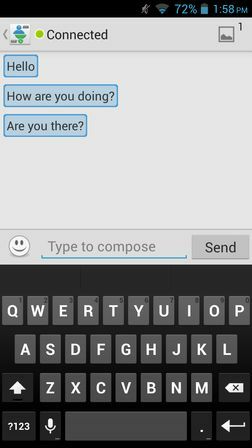 Here’s a list of 4 anonymous messaging apps for Android which you can use to send anonymous messages. Sending messages anonymously allows us to be more open, free and without inhibitions that we normally have when we’re sending messages as ourselves. This is a good thing, but it’s also a bit risky, because you never know who you’re gonna come across to chat with, what kind of person. If you’re up for an adventure, here we go. rumr: anonymous messenger is the first anonymous messaging app that we’re gonna be talking about. It’s an app that might surprise you by offering Facebook, Twitter and Google+ sign in, next to the usual email registration to create a rumr profile. Even though you might think that this doesn’t really make rumr anonymous, don’t worry, your info isn’t showed to other people in the chat rooms, not unless you want to. It will take your info for registration purposes. To start anonymous messaging on rumr find other people that use rumr and invite them into chat rooms. rumr lets you switch between your real account and information and fake anonymous accounts. New identities are just one tap away. Anonymous chat really is a full fledged anonymous messaging app where after running the app you’re not asked for any kind of registration. When you finish with the installation and run the app, you’ll only be asked your gender and age and also the gender and age of the people with whom you’d like to chat. After doing that you’ll be taken to a chat session with a random person with which Anonymous Chat connects you with. Also checkout Have Secured Anonymous Chat Conversation Online With SecretlyMeet.Me. Chatous – Random Chat comes with both registration (even Facebook login) but it also has an option to opt out of registration and to just chat anonymously with people. You are connected with random people from around the world with the only two available filters being the age of the other person and their location (which the app picks up using the GPS services). Other participants of the chat don’t know your location, nor do you know theirs. ChatNOW is will again work without any kind of registration, at all. 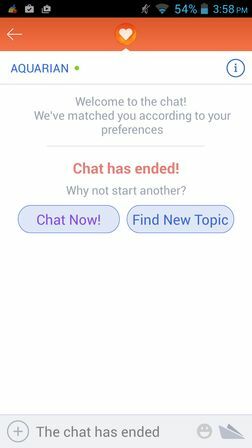 Upon running the app you’ll see settings to setup the age and gender of the other participants of the chat. You will have to wait for some time for someone to connect. For me it was just a couple of seconds and I had a partner to chat with. Also checkout 5 Free Anonymous Chat Websites. rumr and Chateus are my favorite anonymous messaging apps because they are easy to setup, and in case of Chateus you get both anonymous chatting where no accounts need to be registered and a sign in option with the help of which you can create profiles. Try them all and let me know how it goes in the comments down below.